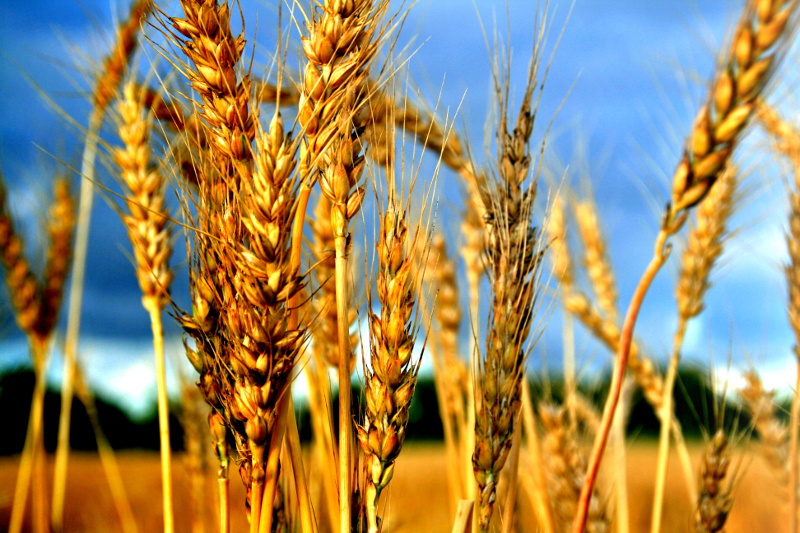 Lagers take about 3 months to condition while ales only take a week or two. This time requirement is the main reason everything I have made so far has been an ale, along with the fact that it would require another 3 or 4 cases of bottles. 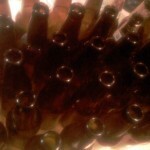 We bottled the sparkling ale Sunday and I went ahead and brewed the lager last night. This way I have something to drink while I wait. 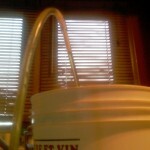 The ale, or sparkling beer, as I decided to call it, will be ready around the 27th. 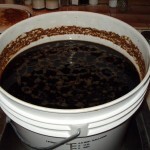 The lager should be ready for bottling this weekend, so I will probably buy bottles from my local homebrew store tomorrow. In case you are keeping track, the sparkling beer was BEER dad brew #14 and red lager is #15. 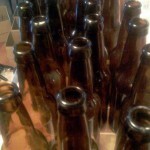 We bottled the amber bock last night and are now patiently awaiting it’s arrival in our fridge. In the process I was forced to finish my bitter so I would have enough bottles. I will be beta tasting the bock later this week and will be researching how to make a good wine because my and BEER mom’s 2nd anniversary is just around the corner. 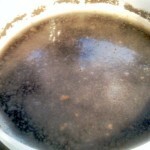 My amber bock will be about 6% alcohol when it’s ready. After an eventful weekend, our Bitter is finally bottled and conditioning, and will be ready in another week. 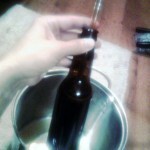 I’ll spare the details of the process, because bottling this beer went exactly the same as the other 5 times. 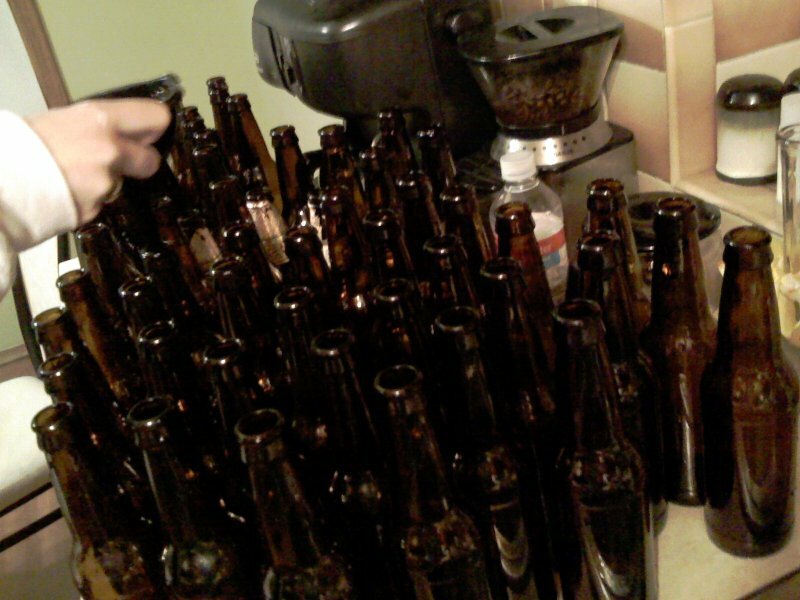 We ended up with 72 bottles, but opened one to take the ending gravity to determine the alcohol content. The bitter ended up darker than I thought it would, but I was aiming for an amber color anyway so I guess that counts as a success. It is just over 5% alcohol, which is fairly strong compared to other pale ales. It is light brown in color and seems to have a lingering aftertaste like the coffee beer. The bubbling sound coming from our fermenter slowed the other day so BEER mom and I bottled it Thursday night once baby went to sleep. We had a rough first few nights with him, because waking up every 3 hours wasn’t something we were used to. He also didn’t like something Laura ate so we quickly learned about the most useful parenting secret – mylicon drops. He’s sleeping fine now and had his first doctor’s appointment yesterday. There are more pictures of him after the bottling pictures. 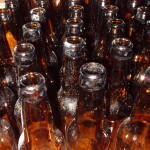 I’ve already talked about how easy it is to make beer, and bottling is no different. 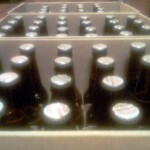 You typically need 2 1/2 cases of bottles for bottling time (if you are making a 5 gallon brew) ± another 4 – 6 depending on how full you fill them. 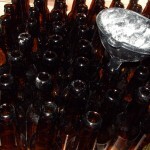 The first and most important step when bottling is having everything sanitized and prepared before you begin. Amber Ale: One Week Left! I noticed last night that my fermenter was done bubbling so me and BEER mom bottled the Amber Ale. 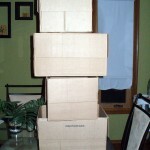 It will be ready in a little over a week. I rinsed and sterilized each of my bottles, which took about 30 minutes. Then we gave each one 1 tsp of corn sugar. My coffee beer finished primary fermentation on Sunday so BEERmom and I spent the evening sanitizing and filling bottles. She wasn’t too excited when I bottled my first batch because I was pretty messy, so she decided to help. Once everything was sanitized we primed each bottle with a teaspoon of corn sugar, then she handed them to me one by one. I filled them and handed them off to her to be capped, and this time I actually had enough bottles, so we didn’t have to get creative. 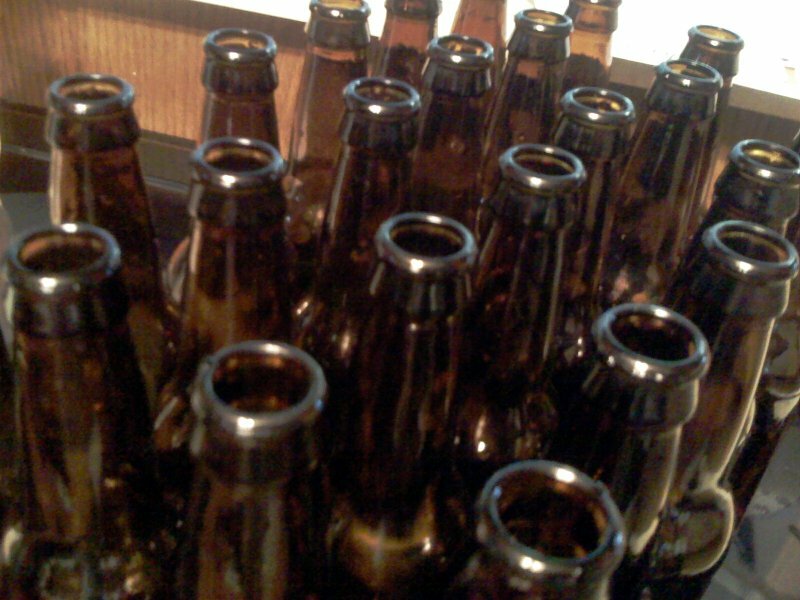 The batch made 63 bottles, which are now conditioning under our bar until it’s time to move them to the fridge. The recipe says they will be ready after a week, but I plan to wait at least two before seeing how they turned out. 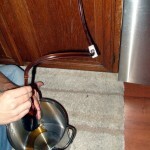 Photos from bottling night below.